Mobilize Mail is a premium email service provider for New Zealand based organisations. 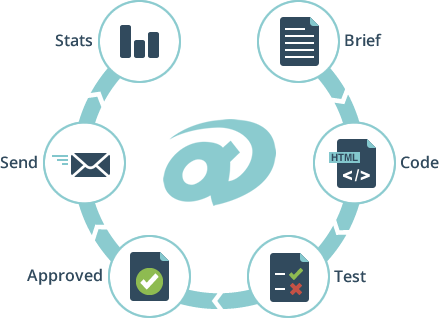 Your business can achieve better results from email marketing with our knowledge and systems. Email marketing (eDM) campaign management is our premium service. Our eDM campaign management service is customised to your requirements and usually commences with a pre email marketing campaign consultation (usually a face to face meeting and may include 3rd parties). Each campaign includes development of the eDM campaign elements (including landing pages, templates, HTML email messages) eDM testing, delivery and post campaign review reporting (including graphical statistics and recommendations). New Zealand businesses need their email marketing campaigns to provide opportunities and sales. Mobilize Mail are renown for creating eDMs that get a better response! Include us when you are planning your next marketing campaign. Email marketing is evolving. The email campaigns that get the best results are thoughtfully planned, the content is highly targeted to the intended recipients and eDM presentation is professionally tested. Mobilize Mail has the expertise, attention to detail and know-how to apply current trends to every email marketing campaign which in turn results in more sales for New Zealand businesses. Mobilize Mail can integrate your business systems with your Mobilize Mail account utilising our API and webhooks or FTP, RSS, XML, SQL. Customised integration solutions can also be developed to suit your requirements. Your business can be assured that Mobilize Mail have the email delivery covered with secure, New Zealand based mail servers. Constantly monitored and tweaked for high performance, reliability and maximum deliverability our mail servers are best served to deliver your email messages. The following information is a must read for businesses wanting to create and manage their own email campaigns. Create professional looking HTML emails using our HTML message editor and custom-made email templates. Set up automated anniversary greetings, date triggered reminder emails and auto-messages once and forget! Our Full List Management Feature will allow you to effectively manage your subscribers; mailing lists; segmentation and personalisation requirements. Automated bounce management and unsubscribe functions included in your Account at no extra cost. Recommendations are provided to you free of charge and contain a wealth of hints and tips on how to improve your email marketing based on your strategy. Review and compare your latest email campaign statistics with previous campaigns to find out what is popular with your subscribers. Segment subscribers based on clicks with a single button click. Mobilize Mail’s Re-Brand and Customised Solutions include unique account interface presentation options, smart web pages and mini apps. These solutions are developed to order and provide enhanced marketing and communication unique to your requirements. With Mobilize Mail multi-user admin accounts (different user name and password access) can be created to allow your staff access to your Mobilize Mail account. You can also control what subscribers, messages and features each admin can access and get a report on which admin delivered a message. Mobilize Mail is a premium email servicer provider dedicated to email marketing and delivery. It is our core focus, and we live and breathe it. Our online blog provides up to date email marketing tips and our techies are constantly improving our services and adding new features. Did you know we provide support prior, during and post delivery of your first email campaign? Did you know...when you become a Mobilize Mail client (DIY or Premium Service) we can publish a 400 word article on your business and share it with our 30,000 followers to help you get found on the Internet? Plus your business can submit unique articles to us as often as desired and we will publish and share them with our business network. It’s all part of our service.